The American Board of Physical Medicine and Rehabilitation (ABPMR) is pleased to announce its decision to be a participating member board in the new American Board of Medical Specialties (ABMS) MOC Assessment Initiative. 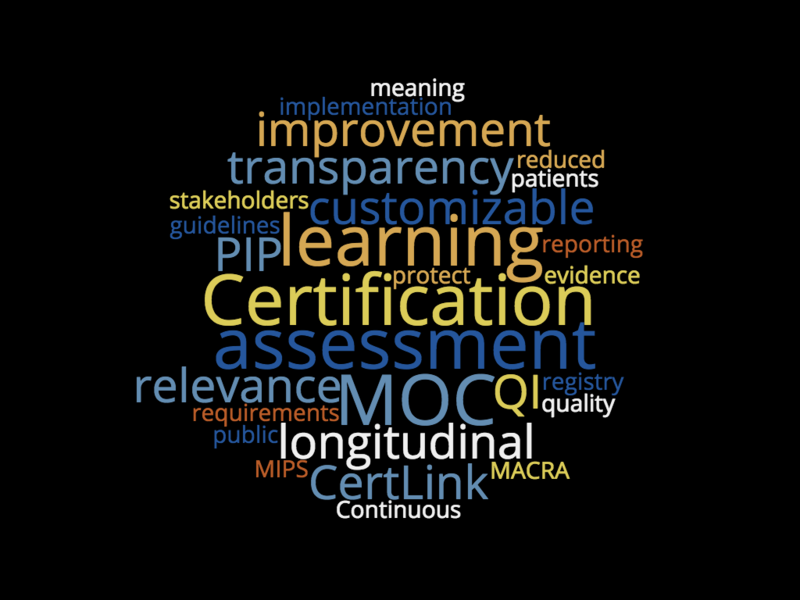 The Maintenance of Certification (MOC) Assessment Initiative will explore different methods of assessing a physician’s knowledge, judgment, and skills that could potentially serve as alternatives to the current ABPMR MOC Part III Examination. Our goal will be to launch a pilot program to test the reliability and effectiveness of more frequent, smaller scale assessments with spaced repetition. To support the pilot, ABMS is developing an innovative, web-based assessment platform called CertLink that leverages mobile smart technology to explore new assessment and learning approaches. If successful, this may result in a change to the ABPMR MOC Part III requirement (currently a secure examination every 10 years). 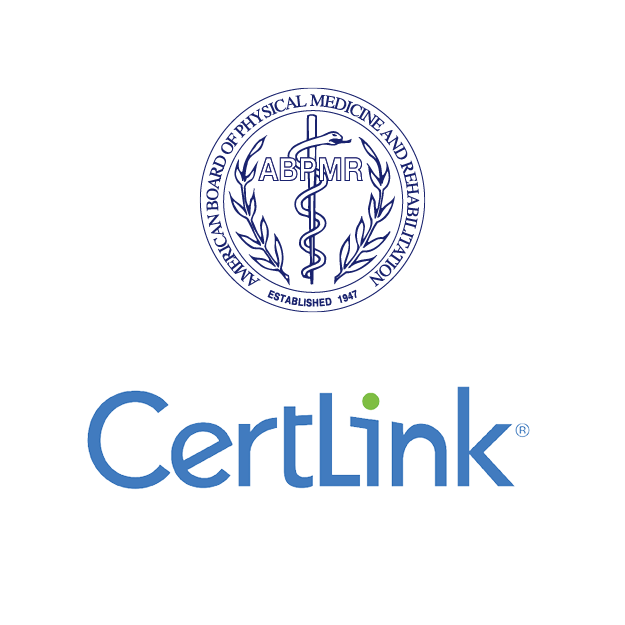 Read the ABMS news release for more information on CertLink. Why are we doing this? Because of your feedback. During the ABPMR MOC Survey, you said the MOC Examination was too broad and required valuable time away from your practice to “cram” for an exam that didn’t feel relevant. The limitations of the current format have led to a careful consideration of alternatives. Ultimately, the ABPMR is committed to innovating MOC in a way that makes sense for physiatry. This will be our focus throughout the pilot process. We know your next question: How will this affect me? Right now, we’re not sure. Key decisions on program design, participants, timing, and launch date will continue to be finalized over the next several months. We will keep you informed regularly as we progress in the planning stages of the pilot. Join the CertLink Advisory Group. We’re looking to form an advisory group of ABPMR diplomates willing to provide periodic feedback on program design, content areas, and other key logistics and planning decisions specifically for this project. Note: This group is providing feedback during the planning process only; we’re not asking for volunteers for the pilot itself. 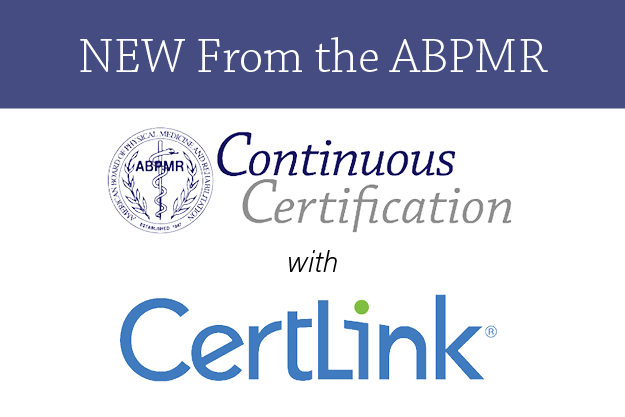 Click here to sign up for the CertLink Advisory Group (ABPMR diplomates only). Attend informational/feedback sessions at national meetings. Plan to participate in ABPMR–led sessions at specialty society national meetings to communicate your ideas directly to ABPMR board directors and other key partners. Contact the board office. As always, if you have specific feedback you wish to share outside these channels, please don’t hesitate to contact us anytime. Your input will be shared with the board.